CAMBRIDGE, Mass. — Planetary Resources has successfully tested key technologies needed for future asteroid prospecting spacecraft on a recently launched cubesat, but the company is revising its timelines because of a funding setback. 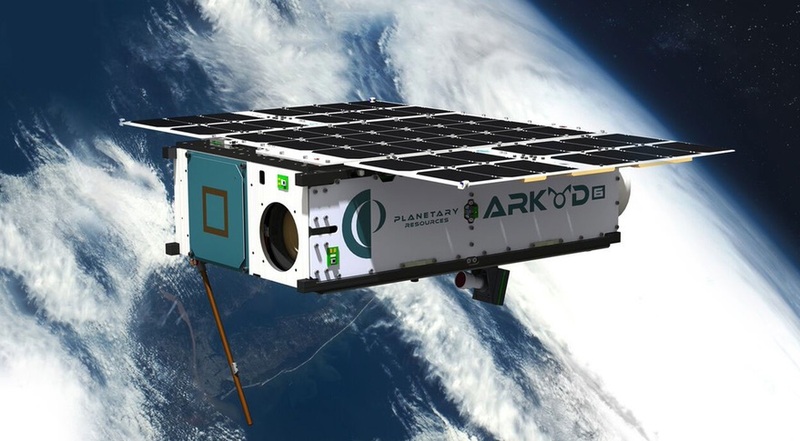 Planetary Resources launched its Arkyd-6 cubesat Jan. 12 as one of 30 secondary payloads on an Indian Polar Satellite Launch Vehicle. The six-unit cubesat was designed to demonstrate a number of technologies the company plans for future spacecraft to prospect and extract resources from asteroids, such as a midwave infrared instrument. In a later interview, Lewicki said the spacecraft demonstrated several other technologies besides the infrared instrument, including a distributed computing system, an attitude control system, star tracker and solar arrays. Planetary Resources built a second Arkyd-6 spacecraft intended as a backup in case the first one was lost in a launch failure or otherwise malfunctioned. With the testing requirements completed with the first satellite, Lewicki said the company was looking at options for the second one that could include some commercial applications. “We’re thinking about what types of upgrades we might do for it, asking various people who have never seen a midwave cryocooled imager in space what they’d like to see out of it,” he said. That work continues despite a funding setback the company suffered. Lewicki confirmed a report published in February by GeekWire that the company failed to close a round of funding as planned, leading to layoffs. Lewicki said the lead in its planned round was an unnamed “major global mining company” that delayed an investment it planned to make last year for budget reasons. “We just have to adjust everything and find the right timing and the right value proposition,” he said. That company, he added, is still interested in investing in the company this year. “We’ve got a bunch of people lined up behind them,” he said. The delayed investment, though, forced Planetary Resources to lay off some of its employees. Lewicki declined to say how many were let go from a peak of 70 employees prior to the layoffs. That setback also affects the schedule for future asteroid prospecting missions. In his conference talk, Lewicki showed a video of a planned mission where several small spacecraft, launched as secondary payloads, fly to near Earth asteroids to measure their water content. In past presentations featuring that video, company officials said the mission was scheduled for launch in 2020. However, Lewicki didn’t state in this talk when that mission would launch, and acknowledged later the funding problems would delay it until some time after 2020. “The 2020 date was assuming we would get all the necessary financing on schedule last year,” he said. Those challenges, he said, raised the question of how to best finance a venture like Planetary Resources with long-term plans without the benefit of a wealthy founder. “There’s a question of whether the venture model of financing is the right way,” he said. There are financing approaches used in terrestrial mining, such as special purpose vehicles, but he noted that those rely on secured mineral rights that don’t exist for extraterrestrial bodies. He said he was intrigued by the possibilities presented by blockchain technologies that might emerge over time. “We’re continuing to pursue options and develop stuff and make progress where we can,” he said.